Nico Muhly is the undisputed champion of contemporary classical music. Sure, perhaps it is too early to shout such a ringing endorsement while we’re still awaiting to hear his Metropolitan Opera and English National Opera co-commission premiering in London in July. However, my crowning of Muhly’s genius is not uneducated: his music for The Reader is a score of such simplicity yet immense beauty, capturing the cynical world of pre-Nazi Germany as well as the movie’s paedophilic themes. 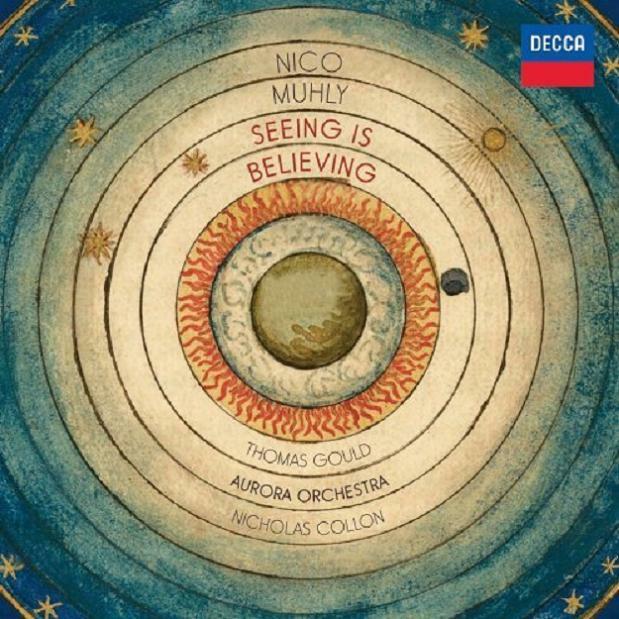 The ever-growing relationship with Thomas Gould, Nicholas Collon and the Aurora Orchestra stemmed from a Royal Academy and Julliard project, and has led Muhly to write this special concerto for Gould’s electric violin. Contemporary? Yes. In composition and also in performance- the energy on display in this record is astoundingly excellent. The title piece “Seeing is Believing” explores many different avenues. The melody is subtle but the accompaniment is fantastic; moments of complete space turn suddenly into moments of intense reality. Muhly seems to explore every venture he can. The electric violin presents a very unique timbre, often very clean yet becomes dirty in an instant, its range, assisted by the two extra strings, give it a larger register with more to play with. Accented notations break up the concerto nicely. Muhly’s arrangements are also something very much desirable, notably his arrangement of “Bow thine ear, O Lord” which uses harmony to its full extent whilst providing a perfectly changed arrangement. “Motion” is by far my favourite; it quite originally does exactly what it says on the tin. The Aurora orchestra performs with unique youthful energy and presence. Perfection and clarity is what you expect (and get) from the Aurora conducted by its artistic director and principal conductor Nicholas Collon. The Muhly-Aurora partnership has been incredibly successful and, considering how the latter brings the former’s geniality alive, long may it continue.